With the 2015-16 NBA season tipping off Tuesday night, and the Toronto Raptors opening on Wednesday, here's an update on the players who were also on Canada's men's national team roster. 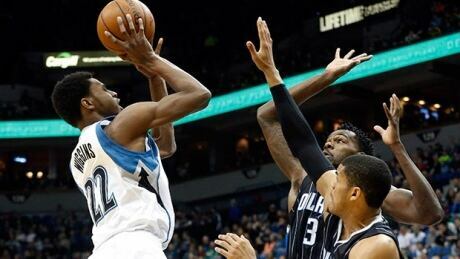 NBA general managers believe Canada's Andrew Wiggins is due for a breakout season. 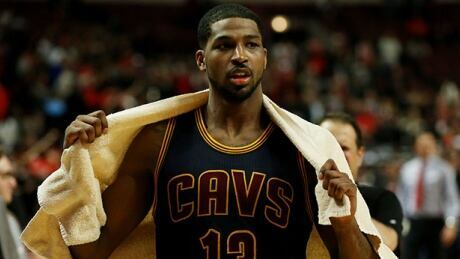 The 20-year-old from Vaughan, Ont., in his second season with the Minnesota Timberwolves, received 17.2 per cent of the votes in the NBA.com GM survey. 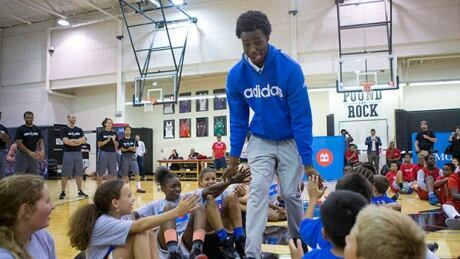 Andrew Wiggins, a Vaughan, Ont., native and reigning NBA rookie of the year was back on home soil for his Minnesota Timberwolves' pre-season game Saturday night in Winnipeg against the Chicago Bulls. 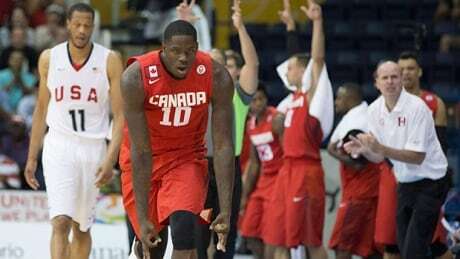 The Toronto Raptors have officially announced the signing of Canadian forward Anthony Bennett. The Brampton, Ont., forward reportedly signed a one-year, league-minimum deal. Anthony Bennett on Twitter that he has signed with the Raptors, confirming a move that has been the subject of speculation for the past couple of days. Is Anthony Bennett a good fit for the Raptors? 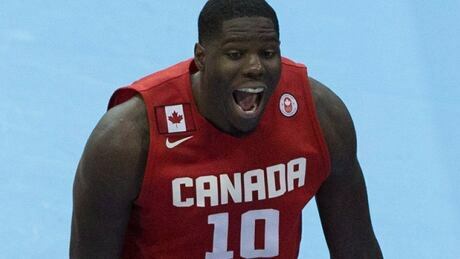 Canadian Anthony Bennett cleared waivers on Friday and, according to reports, he is expected to sign a contract with the Toronto Raptors next week. 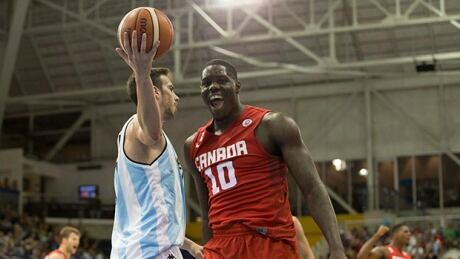 Posted in Sports/Basketball/Canada Rising | Comments Off on Is Anthony Bennett a good fit for the Raptors? 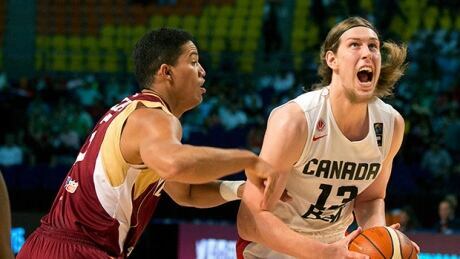 Get an inside look at the Canadian men's basketball team's dramatic semifinal loss at the FIBA Americas tournament in Mexico City, which cost them a spot (for now) in the 2016 Olympics. 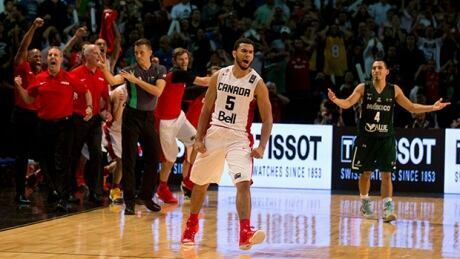 Cory Joseph ensured that Canada left the FIBA Americas tournament with something to show for their efforts when he hit a buzzer-beater in the bronze-medal game against Mexico on Saturday night. 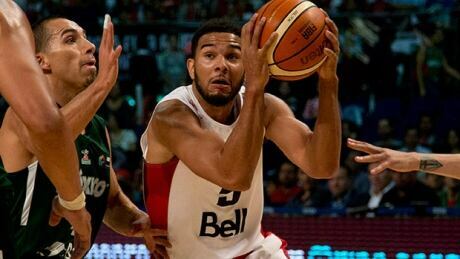 Cory Joseph hit the winning bucket with no time left on the clock as the Canadian men's national team took third place at the FIBA Americas basketball championship by beating host Mexico 87-86 on Saturday. 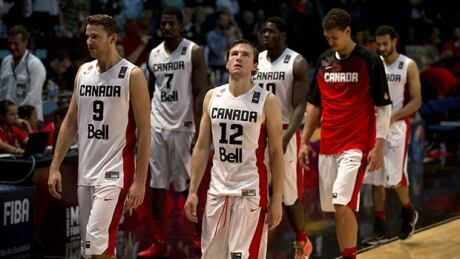 Canada suffered a heartbreaking 79-78 loss to Venezuala at the FIBA Americas on Thursday, putting on hold their hopes of qualifying for the 2016 Olympic Games. You are currently browsing the archives for the Sports/Basketball/Canada Rising category.